Media Size: 3" x 6"
6" x 6" 8.5" x 11" 11" x 17"
DIY Wall Signage : Easy to Design, Print, Put Together and Hang! 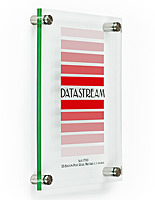 Includes Green-Edged Acrylic Panels and Stainless Steel Stand-Offs. Easy-to-Use downloadable templates for Word, Illustrator and Photoshop. This wall sign allows users to design their own custom advertisement with any of the templates available for download (see below). 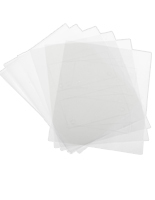 Purchasers also receive six pre-scored sheets (3 of which are clear and the others are frosted) of plastic printing film. 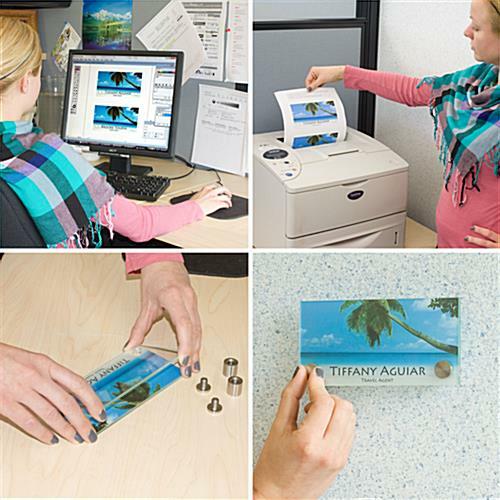 Advertisers are able to pick the film that will showcase the graphics in best manner, print film out, and remove the circular section of the film. 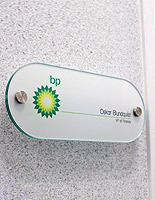 This wall sign holds the printed sheet between the two green-edge acrylic plaques. The unit then gives the look of plate glass without the expensive pricing. 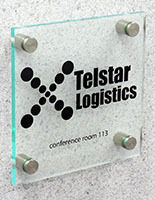 This wall sign with standoffs installs quickly and presents the content in a visually stunning manner. 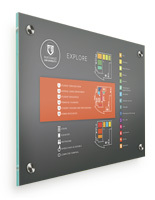 The modern looking image holder gives a facelift to the interior signage within any establishment! This wall sign is a do-it-yourself interior signage kit for companies. At a minimal cost, advertisers can generate their own custom messages for display! 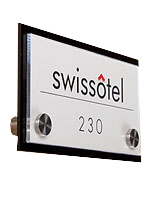 This wall sign are great for demarcating rooms or presenting logos. The unit offers itself for fast signage changes. This wall sign can be used in all sorts of establishments. 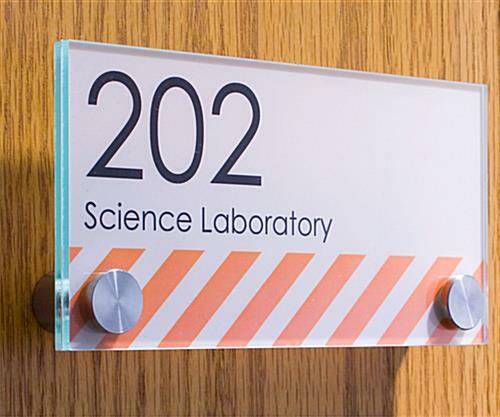 Educational facilities, medical buildings, offices and others use the interior signage to inform visitors and guests. 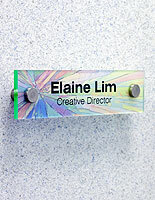 This wall sign has a 6" x 3" size, which is great for name plates. The interior signage moves the message off the wall to attract a bit more interest.